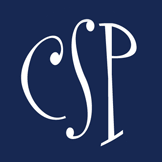 By our Smarty friends at Charlotte Eye Ear Nose & Throat Associates, P.A. Your teenager has been asking for contact lenses for months, and you agree they’re finally old enough to switch from glasses. But what should you know before you let them finally make the switch? How do I get my teenager fitted with contact lenses? The first step is to go to a CEENTA eye doctor to make sure your teenager’s prescription is up to date. Once that is done, they will be referred to a contact lens technician who will work with them to find the right contacts for their vision needs and to make sure they fit comfortably. How should my teenager clean their contact lenses? It’s important your teen keeps their contact lenses clean to prevent infection or any long-term vision damage. This can include corneal ulcers, corneal swelling, eye infections, or fine blood vessel growth on the corneal surface. First, your teen should make sure they’ve washed their hands with soap and water and dried them with a lint-free towel before putting their contacts in. This will prevent irritants from moving from their hands to their lenses. When removing their lenses at night, your teen should rub them with their fingers and rinse them in a contact lens solution before soaking them in the same solution. Saline solution and wetting drops are okay for rinsing them before they are worn, but they are not effective disinfectants. Contacts should not be rinsed or stored in water, either. Also, saliva is not sterile, so make sure your teen doesn’t put their lenses in their mouth to wet or clean them. How should my teenager keep their lens solution sterile? 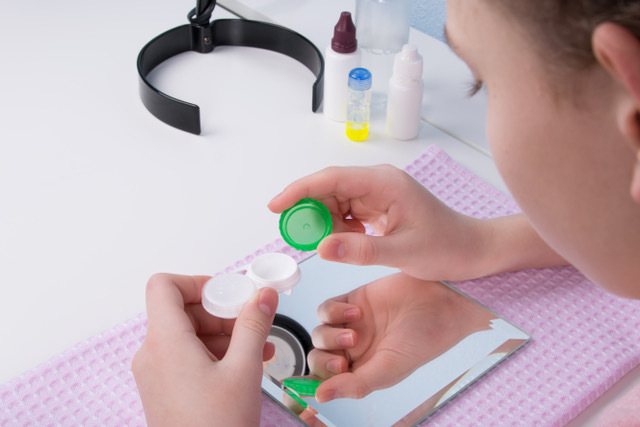 Make sure your teenager doesn’t reuse old contact lens solution or top off the old solution in their lens cases. Make sure they don’t transfer solution into travel-sized containers, since that can affect the sterility. The tip of the bottle shouldn’t come into contact with any surface, and the bottle should be tightly closed when it’s not being used. How should my teenager store their contact lenses? Don’t let your teen use cracked or damaged lens cases, since they can be a source of contamination. To clean their cases, they should rinse them with fresh solution and leave them open to air dry. Have them replace their cases once every three months. If your teen goes more than a day without wearing their lenses, make sure they consult the instruction for both the lenses and their case to see if they need to disinfect them before wearing them. If they were stored for more than a week, disinfection is required, CEENTA Certified Contact Lens Technician Lois Mucci, NCLE, said. When should my teenager take their contacts out? Contacts should be removed after wearing them more than 10-12 hours, or before sleeping, swimming, or bathing. This can prevent issues that cause infection or vision damage. Contacts are an important rite of passage for many teenagers, but following a few simple steps can help make sure their experience is a comfortable and healthy one. CEENTA has eye care services in 12 North Carolina locations. To find one near you, visit their Locations page. Smarty Giveaway: Living Simply will Simplify Your Life!